As I stated when Ger sank the U.S. fleet but took higher than expected casualties, including most planes; that having to rebuild my air force negated the victory. The axis are stalled and the U.S. has so much cash to spread around wherever it wants. Ger has to defend Europe from potential amphib invasion and support Italy in the Med. So despite greater income than Russia, Ger can’t produce more troops than Russia. On the other hand, the U.S. hasn’t sent fighters to Moscow and UK hasn’t sent more than 1 infantry. The trick is making U.S. builds usable quickly. Bombers seem to work, under current circumstances. If Ger was about to take Moscow, then fighters would have been better. @FMErwinRommel Yes it’s all about the long game as allies…if the German advance can be stalled or distracted and the japs kept from getting too much money, allies should eventually grind the axis down. I believe somebody worked out the axis will win if they get to 140 ipcs before N.O.s added in. I was surprised to see the Italians didn’t attack Rostov allowing the German blitz to caucuses. 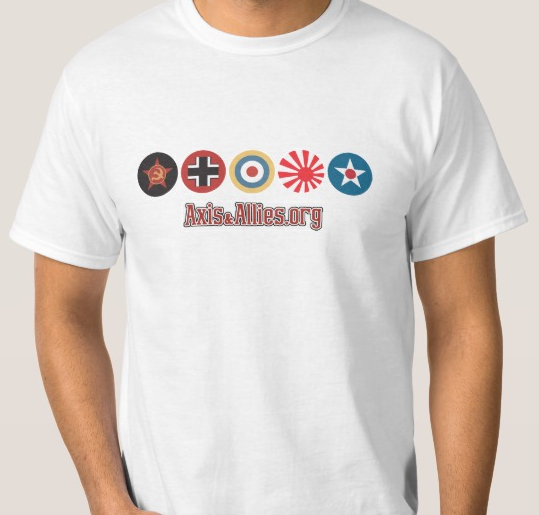 Allied planes (albeit 1!) starting to move to Russia. The Italians were depleted from the prior turn and the Germans would have to send 2 troops to Caucasus to ensure getting it. The cash would be nice, but Russia could just retake it. Bomber support is going elsewhere. Ukraine was contested and now secured for building, so Italy took it, so it wouldn’t have to send new mech from Italy. Germany hasn’t had enough cash to exceed current capacity in W. Ger. Altho, could have built artillery in Ukr. Intercept with 4 fighters in Moscow? Germans bombing with 2 bombers & 3 fighter escorts. The ANZ fighter evens the odds, but I’m willing to gamble and it won’t stop the bombing raid. @FMErwinRommel yes all 4 fighters up please. ANZAC fighter first for casualties. LOts of lovely 2’s for me I hope! Forgot scramble fighter in Scotland? Bombing raid in Volgograd causes 6 damage total. Bombing raid in Russia causes 4 damage total. Scramble 3 ANZ fighers Queens > sz54? Now I know why you had blockers last turn. Couldn’t believe I had such an advantage. You can counterattack with planes, but that will cost you too. @FMErwinRommel yes 3 plane scramble please…1 hit on each capital, subs, 2nd hit on carriers, us dd, anz dd, cruisers, t bomber, anz fighter, us fighters. What a disaster. I had an 87% chance of winning, with 8 units remaining & +76 TUV. Instead, I lost with -72 TUV. You rolled a phenomenal 13 of 18 on round 1 & I rolled 9 of 21 (average). Your subs, with defense of 1, rolled 3 for 3. That’s 1 in 216 odds (1/6 x 1/6 x 1/6). I hate perverse dice. In the other 4 battles, you rolled 0-4. If you had rolled 4-4, I still would have still won those battles. In land battles, the attacker has the advantage of retreating to safety after bad result. But Japan could only retreat to ocean with no friendly units. Japan was already stalled, I don’t see any hope. If I could have sunk your fleet, with planes and transports, my position would have improved. My survivors would have taken out some counterattacking bombers. I will continue, but my heart is not in it. Japan finally blitzed into Russia and returned, like Germany has been doing. Russia will have to occupy those territories, since it doesn’t have tanks adjacent. @wizmark Axis at 140 production, the point at which you read that Axis will win. So there’s still a chance for me. Not sure the calculator works well on big naval battles…doesn’t take into account the fact that attacking planes need somewhere to land. If you had looked at the calculator after the first round, I imagine yr odds would have decreased sharply by then. But 3 hits out 3 for defending subs was way out there! And I’m afraid its the allies who are on 140…125 for axis before my turn. I must say I find the japanese in BM very hard, the garrison rule is a stinker and every allied player concentrates in the pacific first which puts the japs up against 4/5 opponents. When you have the americans attacking, then chinese, then the UK, then Anzacs mopping up, and then Russians if they have an eastern force all before your go…I haven’t found a way to deal with it yet.